National Salami Day in the United States is observed on the 7th of September. It is an unofficial food holiday that is observed and celebrated in the United States. There are many different ways to celebrate the day with friends and family. 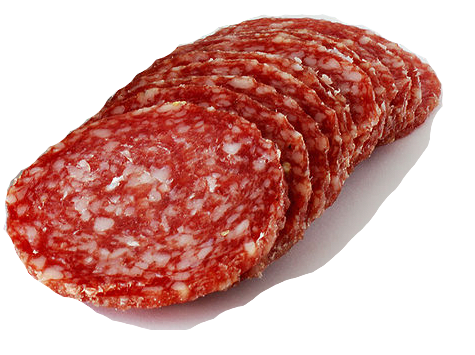 Salami is a cured sausage that is created through fermentation. The meat is air dried and and comes from numerous animals, but is traditionally pork or beef. Salami has been around for many centuries and was first popular among Southern European peasants because of its properties. The salami would store at room temperature and could be stored that way for up to 40 days after it had been cut. It was easy to make and lasted for extended periods of time, which made it perfect for workers and people who couldn’t afford fresh meat. It is believed that National Salami Day first started in Henrico, Virginia. The Salami Appreciation Society, also known as SAS, were the ones behind the creation of the day. They felt that salami was always overlooked in delis and worked to raise more awareness for the cured meat. Their efforts worked and National Salami Day was established. Salami has been adapted many times depending on the region where it was produced. Since it can be produced from any type of meat, the meat used varies greatly. Some regions prefer the traditional beef and pork while others venture towards goose, turkey, and chicken salami. The process of creating salami also includes mixing a variety of herbs, spices, and fats to help cure and ferment the meat. These additives also help produce its unique taste. Some of the most popular additives are: garlic, salt, white pepper, minced fat, herbs, wine, and vinegar. Once the meat is mixed with the additives, it is then fermented. After fermentation has taken place the salami is packed into edible natural or inedible cellulose casings. Once they are packed in the casing they are hung up dried and cured. Some preparers choose to treat their salami with mold cultures. This mold culture is perfectly safe for the salami. Once the food has cured for the appropriate amount of time, then it is ready to eat. National Salami Day inspires a lot of creative projects. There are some places within the United States that hold drawing contests on National Salami Day and the artist with the most creative salami artwork wins prizes. There are many other places that make shirts and sell other merchandise associated with National Salami Day. Many people encourage others to celebrate by making their own plush salami rolls to remember the day by. The best way to participate in National Salami Day is by having some salami. All you have to do is slice it and it is ready to go. Many people prefer to use it as a pizza topping but its use is not limited to pizzas. This cured meat is perfect for taking out on picnics or for a quick snack when you are on the go.